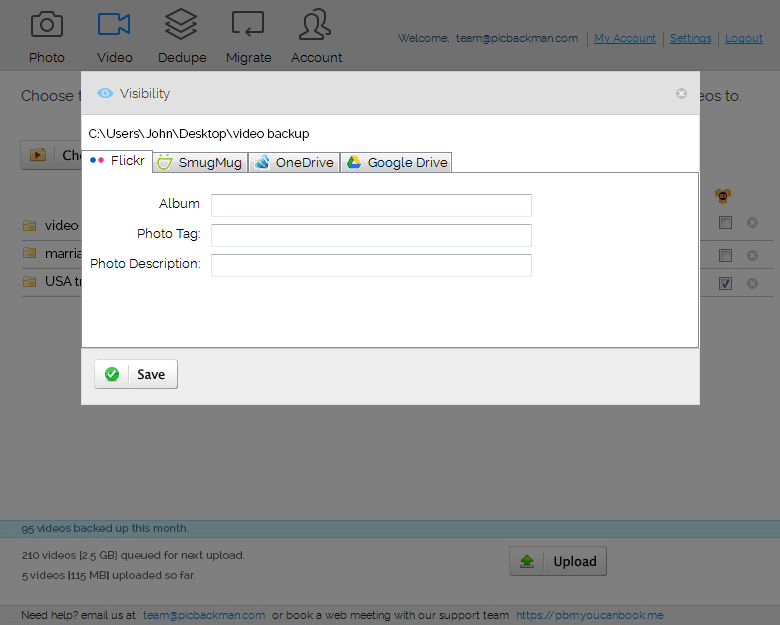 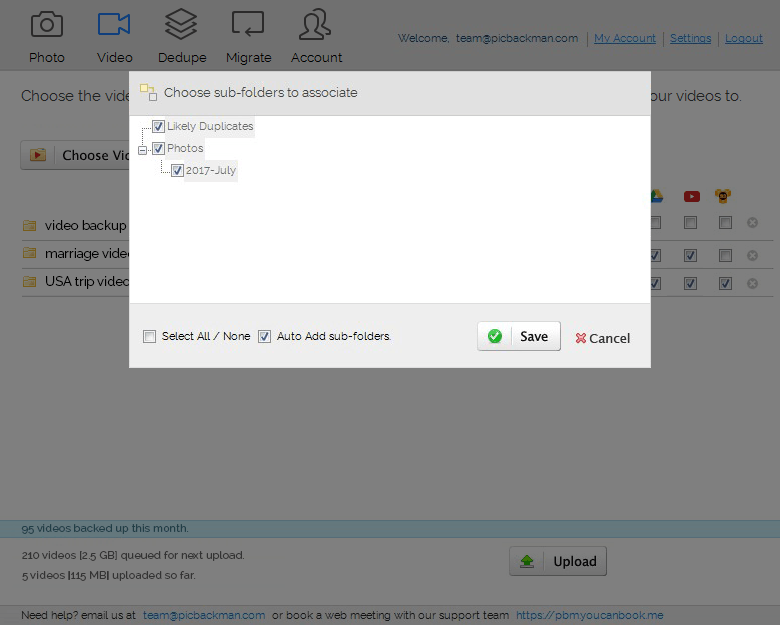 Take a quick look at PicBackMan with a screenshot-driven journey of how to get started with photo & video backups as well as migrations and de-dupe. 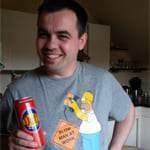 It’s dead easy! 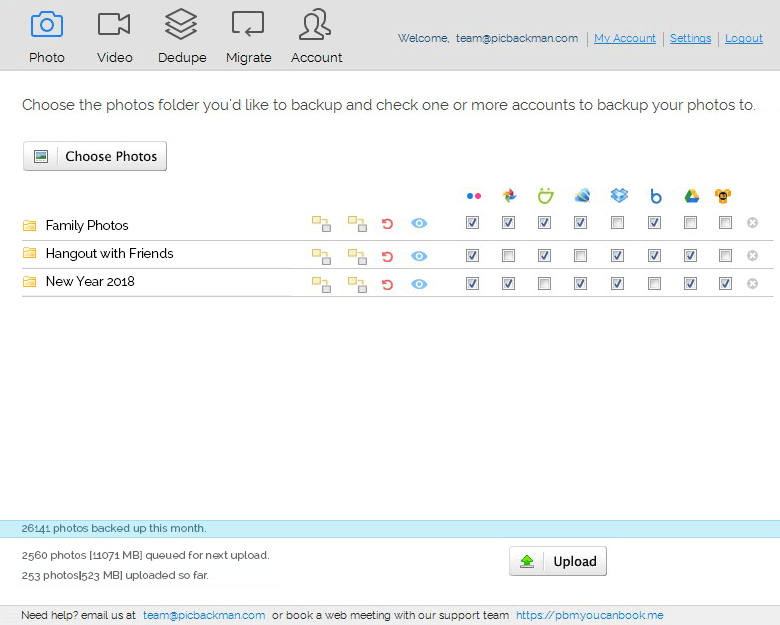 PicBackMan helps you to automatically bulk upload & backup your photos to your online accounts - one or more - so your memories are always safe. 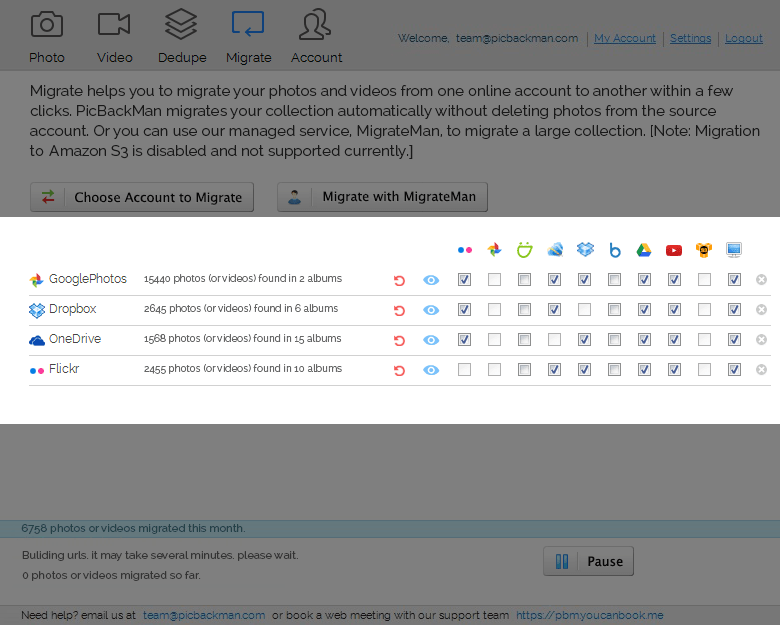 And its fast, easy & hassle free. 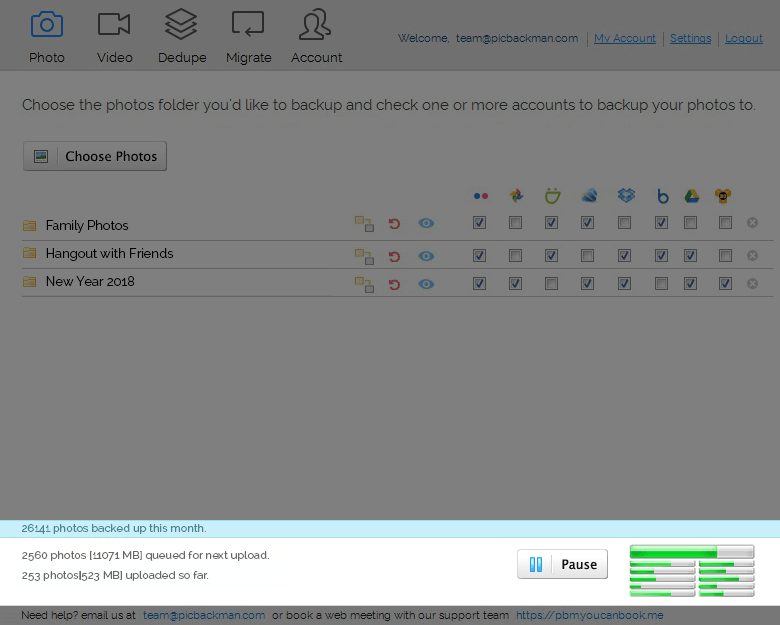 Users in 130+ countries have backed up 50,000,000+ photos via PicBackMan. 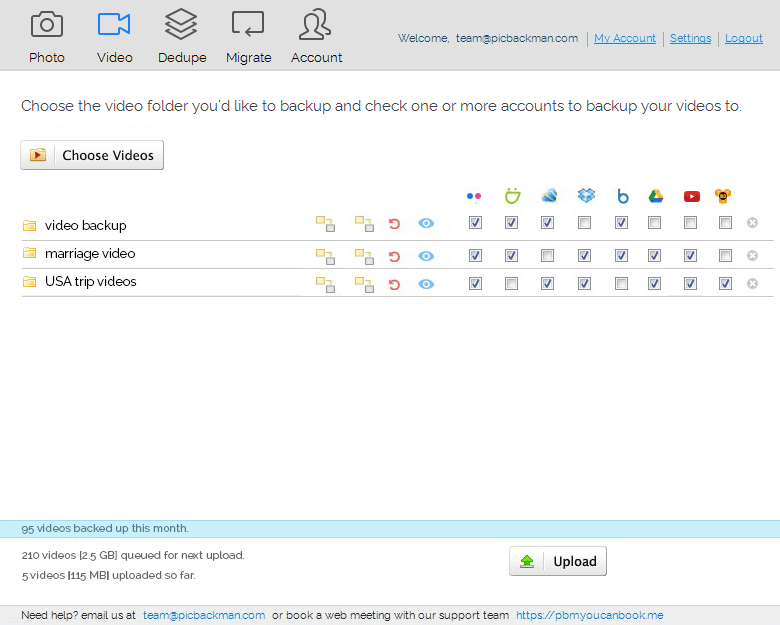 With PicBackMan, you can keep your entire video library uploaded & backed up on multiple online accounts of your choice without facing timeouts, errors etc. 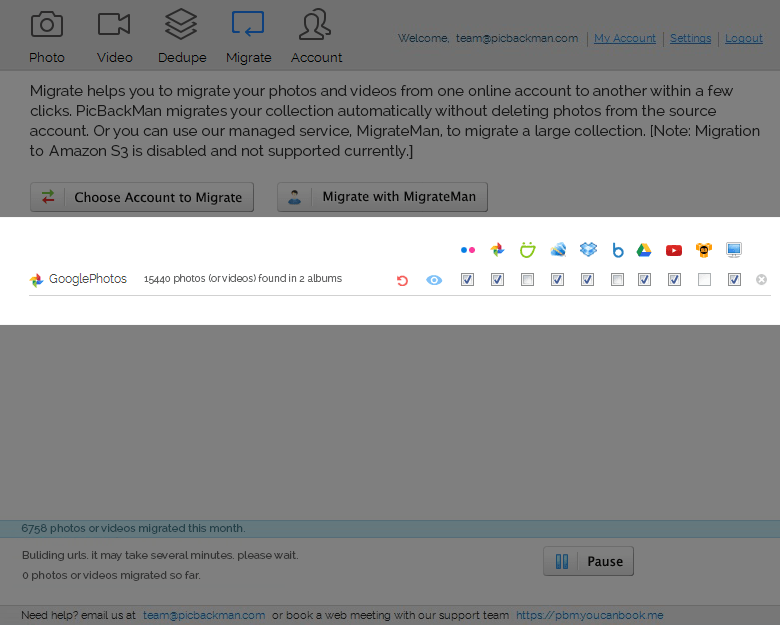 Peace of mind, delivered. 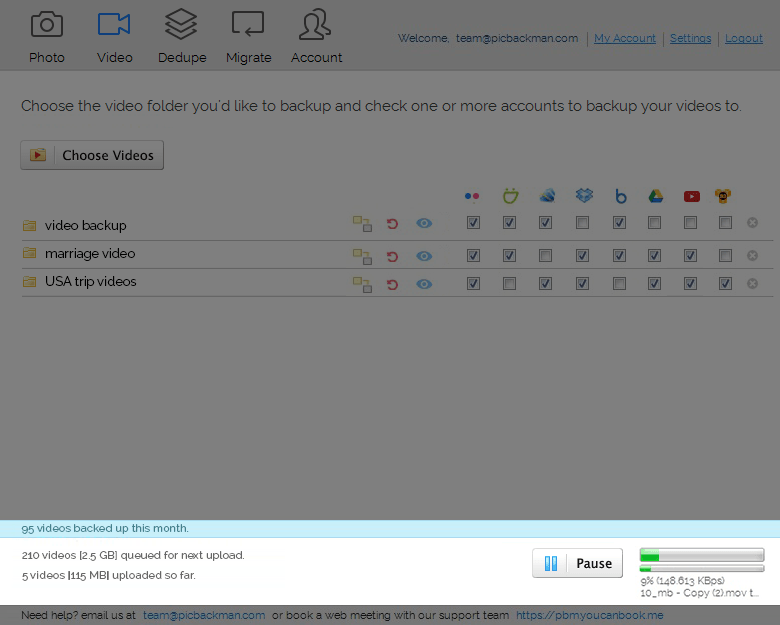 Users around the world have backed up 900,000+ video clips via PBM. 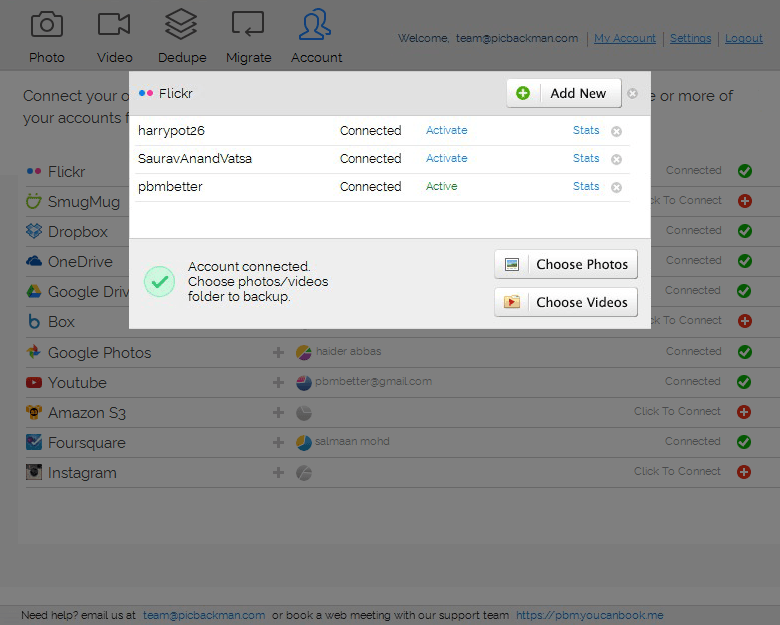 PicBackMan is the fastest & smoothest way to migrate your memories - photos & videos - from one online account to another. 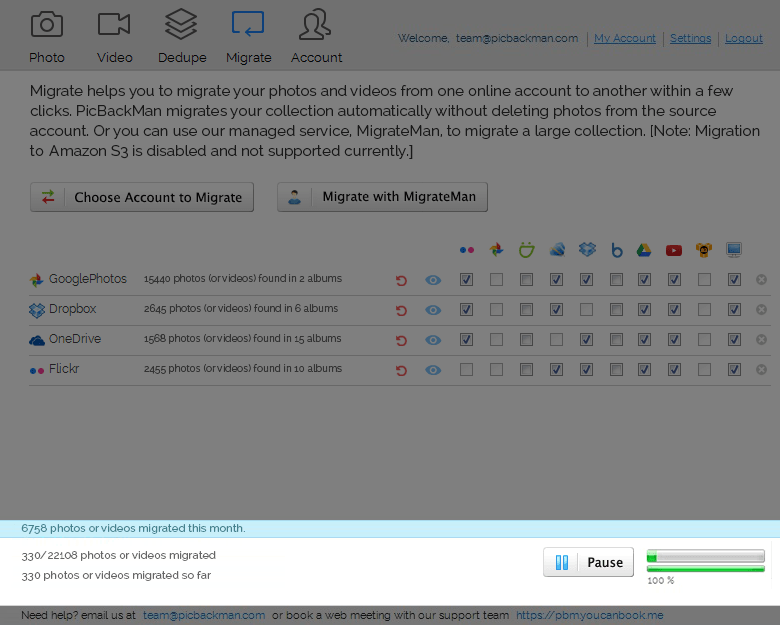 And, at the click of a button, only. For real! 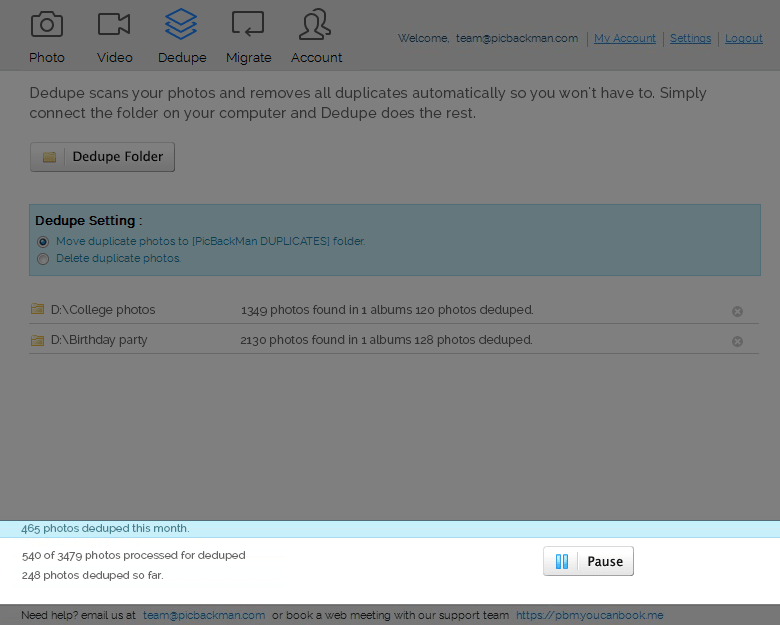 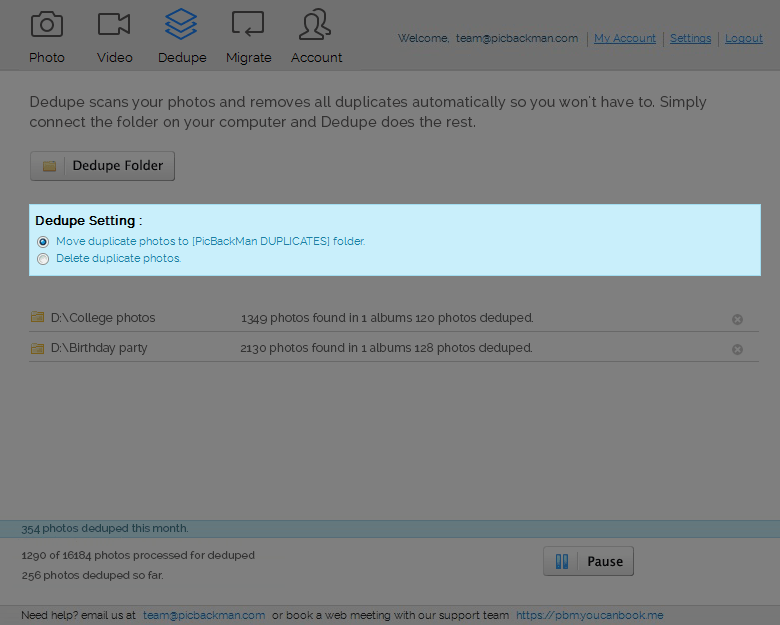 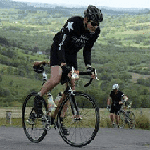 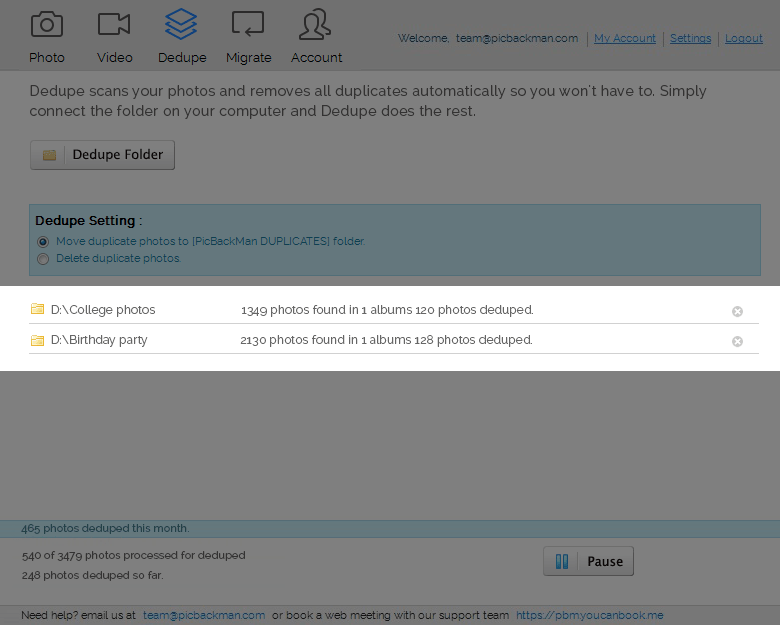 Duplicate photos are a recurring problem and PicBackMan handles it beautifully - simply connect your folder & PicBackMan dedupes all your photos with ease & at scale.